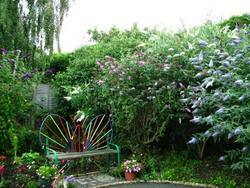 The Spaces at The Butterfly Garden - a project for people of all ages dealing with disablement of any kind. This is where it all began, the tiny plot that was our first garden. Pulled from dereliction in September 2002, this most peaceful space is now mature and a real delight.It is the first stop for visitors, the glorious tip of our iceberg. The shade house : This timber shelter was raised in 2004 and offers a working space on very hot days. Effectively it is an outdoor classroom and can accommodate 20 people, allowing work to continue in the shade. 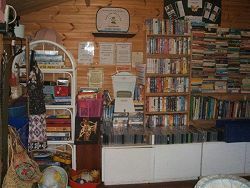 The classroom (sometimes called The Tea Hut) was donated several years ago by the education service. 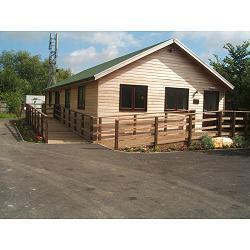 It is a portable unit, is well equipped and offers working accommodation for up to thirty. 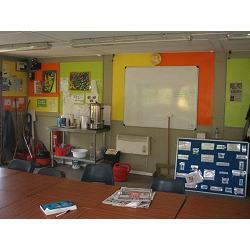 It is used as a teaching space and currently also serves as our canteen. The room is light, airy and regularly redecorated. It is very well used every day, the novelty of tea drinking, it seems, never wears off. In January 2013 we opened our first dedicated building. 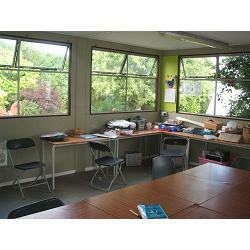 Known by all as 'The Cabin', It serves as a classroom and workshop for our students and has full services including toilets and a kitchen. 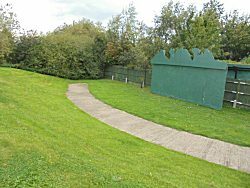 It is a substantial unit and its development is a clear endorsement of our commitment to the long term future of The Butterfly Garden. 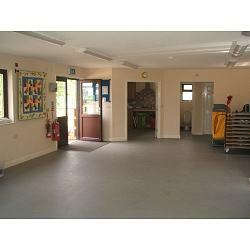 The room is used for a wide range of sessions, including music, drama and dance, as well karaoke, puppetry and cooking. Opened in the spring of 2017, this cabin is dedicated to the arts and is used everyday exclusively for that purpose. Too regularly the arrival of the next activity was compromising art and we wanted to give permission for it just to flow. Students paint, sculpt, knit and sew. They liberate their imaginations. It is a special space. 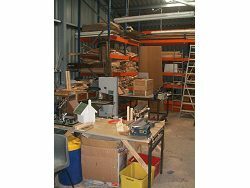 This substantial building is home to our woodwork shops. 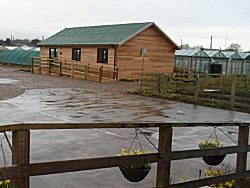 The place that we build bird boxes, bowls, garden tubs and troughs and much more...even a coffin on one occasion. 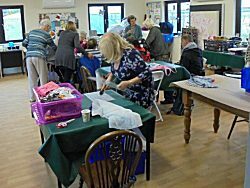 The workshops are very well equipped and managed by a good gang of volunteers. 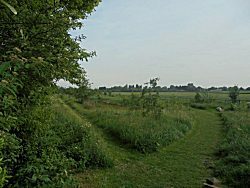 Since 2012, we have been working to create a piece of wild countryside that can be accessed by all. To this end we took over two acres of ground, planted 300 trees, dug two ponds and installed 450 metres of hidden pathway.This path allows safe access for all irrespective of mobility issues and as confirmation of our commitment to community is now open to all. The meadow buzzes with life now and has become a very diverse wild space which is monitored by wildlife enthusiasts. The greenhouse is our production space. Initially we crept into the front corner of the site's commercial greenhouse and now we have laid claim to 2,000 square feet of it. It is a very useful space and we use it throughout the year for the production of the plants that will be used across the project. We are also generating seasonal items in support of a number of school and college business enterprise initiatives. 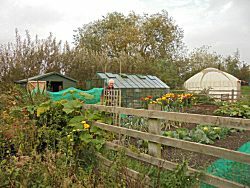 It is amazing to look out on the allotment and remember that it was once a wilderness. 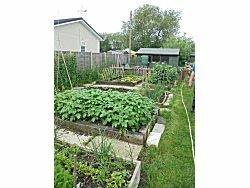 Now it is a well managed kitchen garden with paved access and some terrific raised beds. 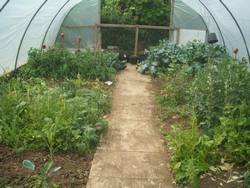 It is a substantial space and boasts soft fruit beds as well as good rows of seasonal vegetables. 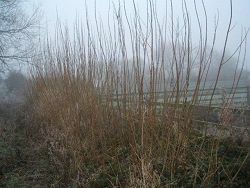 In 2003, we planted 250 willow for craft work and construction. Each year we harvest bundles of material and gradually are honing our skills through experimentation. Members of our group apply their skills to sculpture, garden structures and weaving. 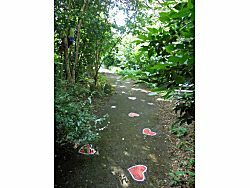 This is our secret garden, littered with the unexplained, an intimate managed space that we share with nature. We built it from scratch having cleared the ground of briar and bramble. 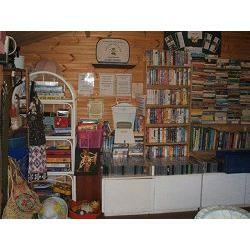 It is fully accessible and has a peace that suggests that it might be a million miles from anywhere. 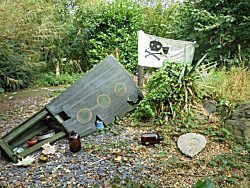 A network of paths, weave through dense undergrowth passing Alice's Tea Party and the beached wreckage of Captain Hook's. It was built as a folly and is there for no other reason than "because it is". 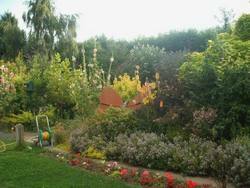 The garden also has wildlife feeding stations and an observation hide. We have created an outdoor performance space, which is set in an amphitheatre. It is serviced by a power supply allowing us to deliver lighting and sound to to the stage and regularly hosts performances of all kinds,both homemade and invited. 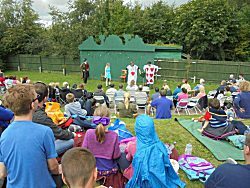 We have held musical events as well as theatrical and the bank can accommodate an audience of more than 200. Located alongside the performance space, this tent, which is heated by a wood burner is a useful and flexible room. 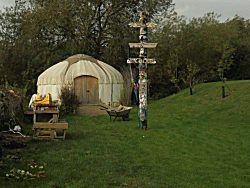 It can accommodate 20 people and over time has been used for meetings, consultations, story telling and yoga. It is a delightful peaceful place. 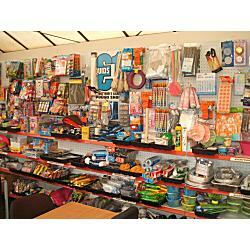 A key part of our fund raising, this shop is full of second hand goods. 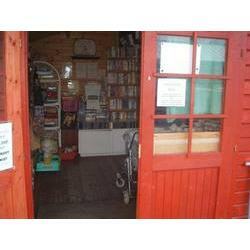 The shop is not manned, but relies entirely on the honesty and generosity of the customers. 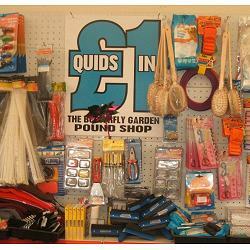 'Quids in', is a fairly new development in the form of a pound shop. In keeping with those on the High Street it offers a range of diverse new products for just a pound. This project has enabled students to comfortably access a retail experience.